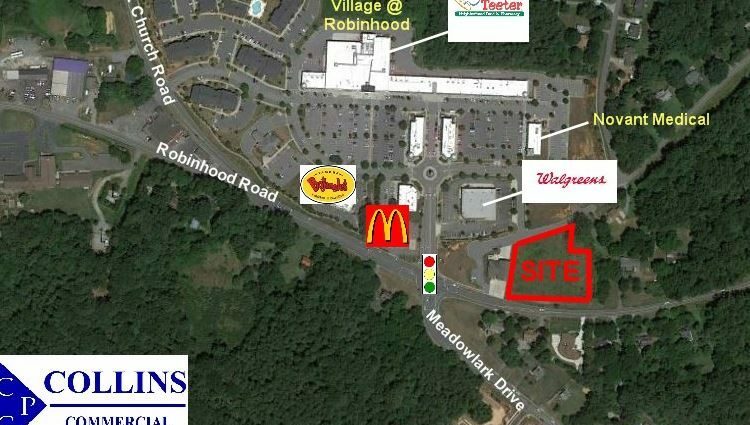 NE Quadrant Robinhood @ Meadowlark Drive-Winston Salem - Collins Commercial Properties, Inc.
+/-2.18 Acres, Zoned Commercial, available in affluent rapidly growing NE Winston Salem NC. Rough graded with public utilities available to site. 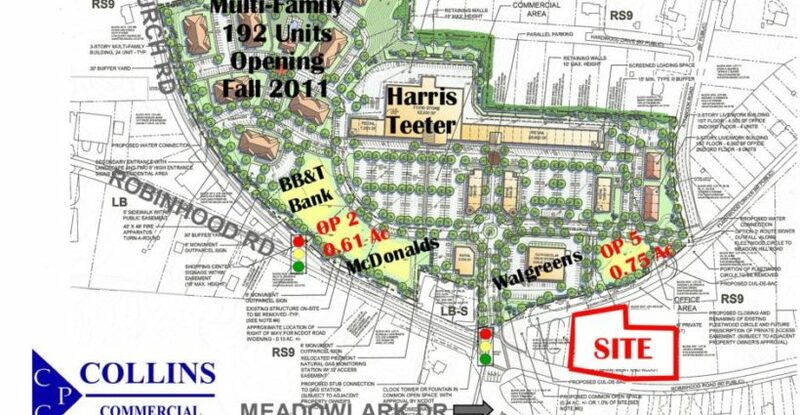 Area Generators: Harris Teeter, Walgreen’s, McDonald’s, Novant Multi-practice MOB, The Pointe Apartments, Brookberry Farm Mixed Use and many others. No Subdivision Offered – Please call for pricing. Collins Commercial Properties, Inc. (“CCP”) is a boutique commercial real estate brokerage firm specializing in Retail and Restaurant site selection, and Land acquisition. © 2019 Collins Commercial Properties, Inc.